Put Pravdy No. 85, May 13, 1914. In the course of their movement’s progress, the class-conscious workers constantly look back on the road this movement has travelled and constantly consider whether it is the right one, and whether it can possibly be improved. 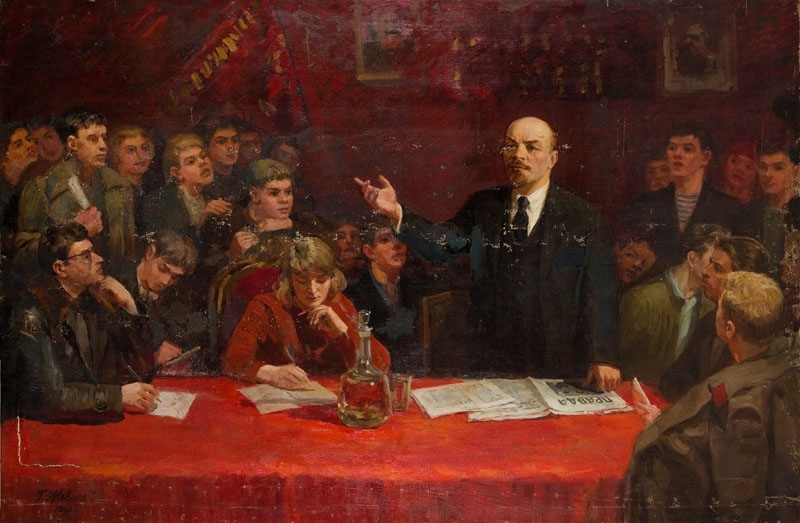 Of all the classes in Russia, not a single one, not even the educated and wealthy bourgeoisie, discusses its tactics, that is, the direction and the methods of its movement, so outspokenly, clearly, and as far as possible openly as the working class does. Only people who are shallow-minded or who fear the participation of the broad masses in politics can think that the open and heated controversies over tactics that are constantly to be seen in the working-class press are inappropriate or unnecessary. As a matter of fact, it is these heated controversies that help and teach all the workers to discuss their own, labour, policy from every angle, and to evolve a firm, distinct and definite class line for the movement. The workers employed at the Stationery Office recently gave a very convincing demonstration of what the attitude of the class-conscious workers is, and should be, towards controversies over tactics. This is what the workers of the Stationery Office wrote. Their simple explanation, which every worker understands, is unassailable. “Equal” assistance or the desire to merge, or “unite, all trends” (which, incidentally, is what Duma sympathisers with liquidationism are saying) actually amounts to a desire to order the workers about from outside in the belief that the workers themselves are unable to “grasp these things”. Any little group of intellectuals can publish a pamphlet or a paltry journal, and proclaim themselves a “trend”, as, for example, the group of the anti-Marxist philosopher Bogdanov, or Trotsky’s group, or N. N. Himmer’s, which vacillates between the Narodniks and the Marxists, and so forth. There are any number of “trends”, and the workers are told: help them all “equally”, recognise “all trends”! Naturally, any worker who is at all class-conscious will ask: What is the argument about? About my struggle? About my policy and tactics? About my Party? If so, then I will work it all out for myself, gentlemen, and I will proclaim as my own only those tactics I approve of and agree with. This is as clear as daylight. It is only because there is no free press in Russia and because there are still lots of workers (especially in the provinces) who have seen one or another working-class newspaper for the first time and are as yet quite “unable to grasp” the problems of working-class policy—it is only because of this that it is possible in Russia for the intellectuals to try to run the workers by appealing to them to recognise “all trends” and to assist them “equally”. In the market-place it often happens that the vendor who shouts loudest and calls God to witness is the one with the shoddiest goods for sale. In the market-place of intellectualist fuss and bustle it often happens that those who shout loudest against running the workers are the very intellectuals who try to do so and proclaim the formation of a countless number of anti-Marxist and anti-proletarian “trends”. Take St. Petersburg. No man in his right mind can deny that, compared with the provinces, the workers in St. Petersburg are more cultured and intelligent, more accustomed to and capable of independently “grasping” all questions connected with the theory of Marxism and the practice of the working-class movement. The St. Petersburg workers did grasp the question, and recognised the Pravdist trend as the right one. 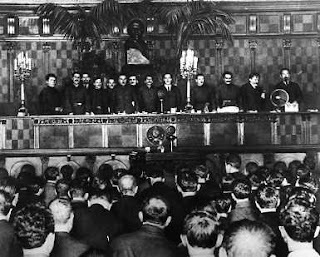 The overwhelming majority of the workers in St. Petersburg declared in favour of Pravdism and proved by action that they recognise only this “trend” as their own. In the provinces the Pravdists preponderate to a lesser extent, but even so they still do preponderate. This has been proved during the last two years by the facts about the workers’ groups, facts which are “unpalatable” to the opponents of Pravdism, but which remain facts for all that. The majority of class-conscious workers discussed the question, weighed the arguments for and against the various tactics, and recognised the Pravdist tactics as their own. Attempts to thwart and to disrupt the unity and will of this majority of workers are now being made by the founders of the intellectualist “trends” of liquidationism, Trotskyism (Borba), the mixture of Narodism and Marxism (Mr. Himmer’s Sovremennik), and others. We are convinced that all these intellectualist “trends”, preaching anti-Marxist ideas or urging concessions to them, will fall to the ground upon impact with the class-consciousness and the will of the advanced Marxist workers, The example of St. Petersburg confirms our conviction. It is highly amusing to hear the intellectualist founders of groups and “trends” that are trying to disrupt the unity of the workers vociferating about “unity”. They are against unity of the workers, which has been achieved in fact, and are for unity of the intellectualist trends, which is promised in word.